Wota in Translation » How did you guys fill the hole left in your hearts by Kamei Eri? 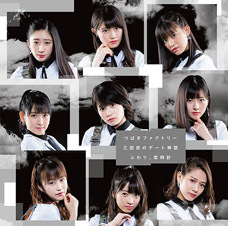 I filled mine with Airi, Maimi, Nakajima, Okai, Hagiwara, Sayashi, Ikuta, and Sato. That’s how many people it took to cover all bases — Eririn’s looks, that sense of fluffiness, her foolishness, and that “pokepoke” feeling. There really was a hole in my heart for a good period of time there. For two years or so. I filled mine with Yuukarin. I’m trying to fill mine with Ikuta, Sato and Kanatomo but it’s not enough. Not nearly enough. 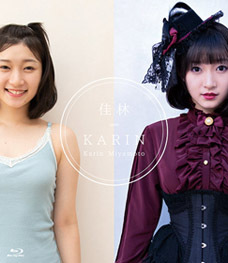 I, too, went from Eririn to Yuukarin. I was also a Sayu oshi at the time so thanks to her I somehow managed to get through it. Iikubo-san for me. They’re different types, but somehow her polite way of speaking and her way of using polite language is similar to Eririn. I’ve tried to fill mine with several people, but whenever I do, I’m always reminded how Eririn really was truly special. Ishida, after I saw her dancing in 123. I’m not quite as addicted to her as I was to Kamei, but I enjoy watching her having so much fun dancing. I just don’t even care anymore. About so many things. Maa-chan will save us all. Fuku-chan filled about 70%, Daa-chan filled 20%, and the last 10% remain unfilled. There’s no one quite like Eririn out there. I could never fill that hole. I’ve just changed. Eririn, why don’t you come back even if only to do radio? That’s be great. As long as I’d get to hear the sound of Kamei’s voice, I’d be fine with any kind of radio show. Gaki-san. If you looked carefully enough, it was easy to see that she was in fact every bit as much of an airhead as Eririn. Fuku-chan. As for replacing Gaki-san: Ishida. Hearing about Fuku-chan being a Kamei wota, it somehow made so much sense for me to then be her fan in return. I like to imagine that they made Kamei drink some medicine and she went back to childhood again, returning to us as Sayashi. Kame → Yajima → Ikuta → Michishige/DD. In the end, I couldn’t fill it with any one member. I had to become a DD. In my heart I’d decided that I would support Linlin after Eririn graduated. You have no idea what I felt like when that day finally came. Linlin is active in China. You can watch her videos on Youku and stuff, and she even has a Weibo account. 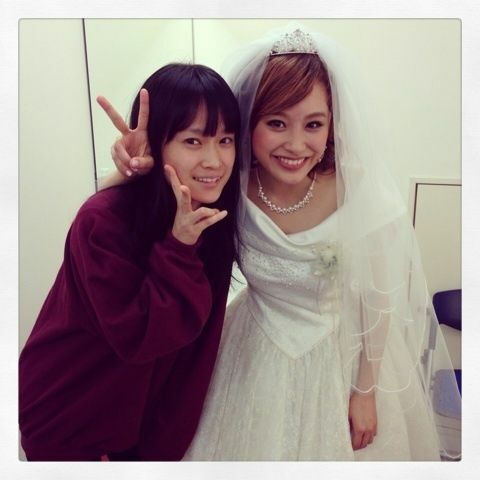 Her fans are way more blessed than those of Kamei, who you can only see occasionally in Sayu’s blog posts. I remember people calling Ikuta a fake Kamei at the time of her audition. The hole left in one’s heart by Eririn isn’t one you can fill simply with some girl just because she’s beautiful. There’s more to it than that. Eririn remains my no. 1 oshi. I want to meet Eririn. Eririn, I love you I love you I love you. 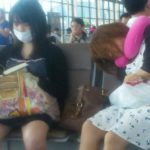 once someone this beautiful in Morning Musume?! Wow. That really is a beautiful girl. Eririn has retired already. Not graduated — retired. Just looking at her heals my soul. That was exactly the same reason I became a Kamei wota, seeing that concert. Less than a year later, they took her away from me. They were all dancing so freely back then. Watching girls like that makes me feel so warm inside. And despite being this beautiful, Kame was such a fool. She remains cute even today. Seeing her in >>70‘s picture, I don’t think anyone unfamiliar with her would be able to predict her foolish character. This was a fun Alo-Hello. Eririn is a gift from the heavens. A true angel. Crap. I’m watching Eririn videos and just smiling by myself like an idiot. Kamei was always smiling. She was so cute. Eririn had a cute face, but even more than that, she had a cute voice. It really drew you in. Short hair really suited Eririn, too. She looked almost like a completely different person though. And she had short hair when her big fool character first started to bloom. She was so idol-like when she sang “Koi no Telephone GOAL” solo at a Hello Con. Kamei and Kago did a great duet of that song, too. She was really loved by her fans. Even my family was calling her beautiful when she’d just debuted. She had a cute and beautiful face of course, but what I loved the most about her was how much fun she had on stage. It almost made you laugh seeing how much fun she was having. I liked her singing voice, too. From a cute young beauty, to a beautiful adult woman. Eririn’s duck lips were the best. I would’ve wanted to see more songs with Kamei as the center. Kamei waking up. The closest you can get to seeing the innermost core of this girl. I went to Reina’s graduation concert just so I could catch a glimpse of Kamei-san. I couldn’t stop myself from crying. I only just recently came to love Eririn. I just recently got into H!P as a whole, and only recently learned of Eririn’s existence. Please just try to move on quickly. Otherwise, you’ll become like me. A ghost who just can’t let go. Ever. I feel like your words of warning may have arrived just a tiny bit too late. I’m doing my best not to look up Yuukarin. I don’t want to add to the population of departed spirits. I haven’t even checked out any videos of her yet. I just think she looks beautiful. If I did watch some videos, I can imagine this getting a lot worse. Eririn is cute to this day, which makes it extra difficult to get over her. I got into H!P two days before Eririn’s graduation, so when I went over to their official site I was surprised to not see her name on there. I’ve been hoping for her comeback since my third day after becoming a fan. The Eririn you know is no more. I don’t know how she was when she was in the group and I haven’t even read any episodes regarding her. That’s the thing: I don’t really know her. That said, I feel like if one day she opened a cheesecake shop in my neighborhood, I’d want to be silently visiting there all the time. Kamei is now just a regular person. It’s entirely possible one could just run into her at a street corner and you two could fall in love. It’s possible… right…? Hang on guys, I’m heading out to get some running done. Well, any videos you guys could recommend to me? That video of Eri napping at the beach… she’s so cute in it, watching it will make you go crazy. Hang on, I’ll go look for it. Got it. Here’s the video. So I just went over to look at some random videos of her, and it turns out she was more foolish than I could’ve even imagined. It only made me like her more. And once you’ve gotten your spirits up by doing that, it’s good to go watch Rival Survival and cry your eyes out. No! Not Rival Survival! (laughs) If he watches that, there’s no more turning back. He’ll have become a proper new departed spirit if he was to do that. What’s Rival Survival? I’m going to become totally addicted to her if I watch it? 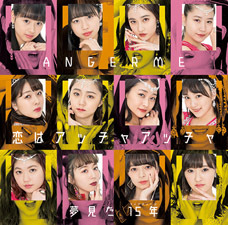 It’s the title of Morning Musume’s 2010 concert tour. Rival Survival. 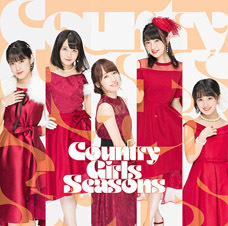 It’s the final concert of Eririn, Junjun and Linlin so it’s only natural you’ll cry. My whole family’s away on vacation so I have the house to myself. I’m watching Rival Survival now and the tears just won’t stop. I can’t watch Rival Survival. I feel like it’d all end if I was to watch it, so to this day I haven’t been able to do so. I wonder if Eririn couldn’t start making radio appearances at least? I watched all the Eric Kamezou videos and all I can say is: wow. That healed me so much. I would’ve wanted to see Eririn around the current members. I, too, became a fan of Kamei after she’d already graduated. FIVE STARS and the Miracle Throw corner on Haromoni@ were amazing!!! Yeah, the Haromoni@ Miracle Throw corner was good. Especially Eririn in the last episode. She’s such a sweet girl, it made me cry. Takahashi Ai was the better performer, but if we’re talking about the best idol-like performer, I don’t think there’s anyone who can top Kamei. Her looks, her singing voice, her character, her dancing, her power of expression — everything was top class. 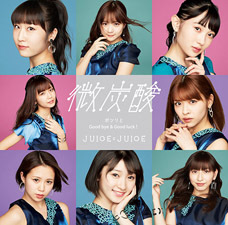 6th gen in general was the most idol-like generation in the group’s history. And a gifted… whatever you wanna call this. Happy birthday to a true idol legend. I filled the hole by living on a diet solely consisting of eringe mushrooms. But mushrooms don’t have any calories, so they’re not food. Please take care of your body! I like your nickname. You must be Dutch. This is what introduced me to H!P in February this year. I had never been interested in Japanese idols even though I knew of their existence. This video changed everything. I randomly came across it while watching videos about Japanese games and before I knew it I had spent my entire free week watching and collecting H!P videos. I had a similar experience with this video only it was like 7 years ago. How did I fill the hole left in my heart by Kamei Eri? Dog cheese. I remember finding this video randomly like 7 years ago and I thought it was this funny I showed it to all my friends and family members. About a year later I got into Morning Musume through friends, Eri becoming slowly my favourite, and I think it took me like 2 years to refind this video? Only to notice this was Eri. I was completely shocked by that haha. The Rokkies were simply awesome. Arguably the best batch in MM history. Each girl was unique, beautiful, charismatic and immensely talented (not necessarily at singing though… right Sayu?). Eririn was only my 3rd Rokkies fav, and yet I still consider her to be one of the most memorable MM member. There have been some good members before and after the Rokkies. But no other generation ever had this complete, high level of awesomeness. Good God, Tsunku, why did you let them go! WHAT HAVE YOU DONE, YOU FOOL!! The gap never really filled for me. It was filled about 90% eventually by Ayumi and Maachan combined. Man, she was so perfect. I’m sad now (lol). Ah Eri, she really was quite something else, this video will probably stay in my mind forever, http://www.youtube.com/watch?v=8KUsf9tQl-0 . Eri at her best being all cute and philosophical at the same time, drinking cocoa and solving world problems. Now that I think about it she should totally become the next secretary general of the UN. Approved. She’ll be such an improvement. Somehow, the consecutive graduations help me forget. It now became a habit. Love/ Support the girl more when she’s now about to graduate. Something I wasn’t able to do for Kamei. As expected of Henkka, it was Kamei Eri. But still, I think I shall avoid becoming even more of a departed spirit than I have already turned into. That would be better, much healthier, yes. Anyhow, thank you for the threads. Would you consider doing Kago threads? Reaction to her scandals? Conversation from before them? Opinions on Girls Beat? I think it’d be really interesting, and there’s so little of that kind of thing on this site, especially since she’s still active, musically. This thread is like a preview of what it’s going to be like when Henkka graduates from Wota in Translation. For all you poor fools just found this site today, don’t read this site any further. I know I’ll never stop reloading the site. There’s always her sister Rina. Damn it Henkka! After I finally start to forget her…. Ah yeah, Eri. I remember when I got back into the fandom after Platinum Era everybody cried so much about her. It was nothing compared to Uta. Yuuka might have been a bit worse, though. You left HP during Platinum? Some people have been dismembered, boiled, skinned, crucified and left to the hyenas for less! Granted, I left before Platinum. 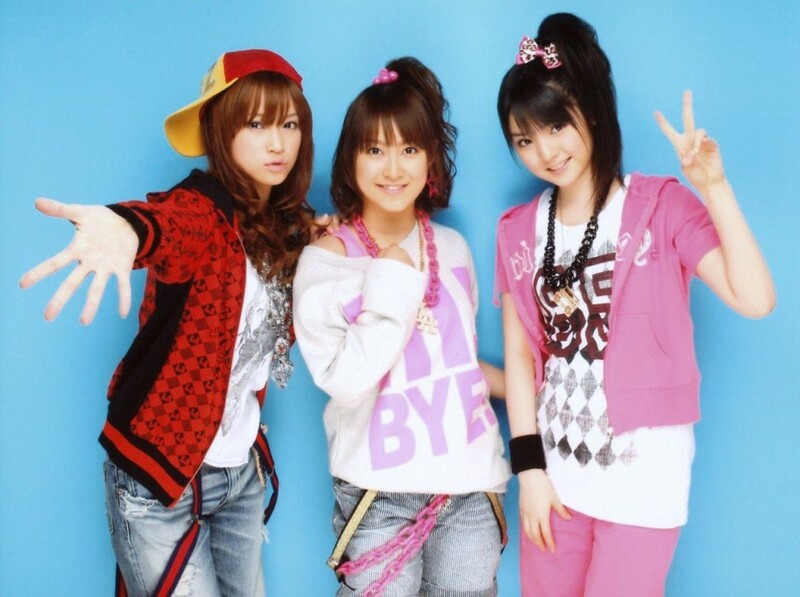 After Yossy’s graduation I just followed them half-heartedly, and when Miki retreated I said goodbye. Please go easy on me though, I was a stupid teenager. I once thought that Maa-chan can be my next Eri. But I was wrong. Now I realised that both of them are legend in their own way. When the time of Maa-chan graduation comes, I will have to just accept another hole to my heart. I filled the hole with Chayu, Maro, Riho, and Meimi. And yes, next year my heart is basically a red swiss cheese. I just thought of another type of “heart-hole” that has not been mentioned yet. I know it must hurt when your #1 idol retires to become an ordinary girl, but think of the pain of TakaGaki fans? Sure, Takahashi Ai and Niigaki Risa are still around, and still performing, but for many fans, Takahashi Ai announcing that she was getting married to someone with XY chromosomes was something they never got over. Aww man I was just pulling myself back up from her graduation… this killed me.. 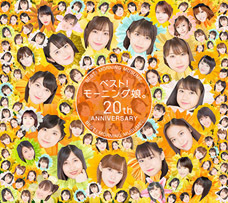 I didn’t pay much attention to Morning Musume until after 9th Generation had been selected so I have no hole to fill! I suffered from Kamei-loss for a good 3 months after her graduation though, but slowly it was Eripon who filled up a majority the gap together with Rinapuu and Uemuu later on. I found to see quite some similarities between Eripon and Kame, but in the end they’re two completely different persons. I’m glad I just didn’t quit being a Momusu wota after she graduated though. The gap was never filled for me either..Eririn is irreplaceable. But I felt much more at peace after seeing her off at Yokohama Arena…she was indeed a legendary idol! Thanks for the translations as always! 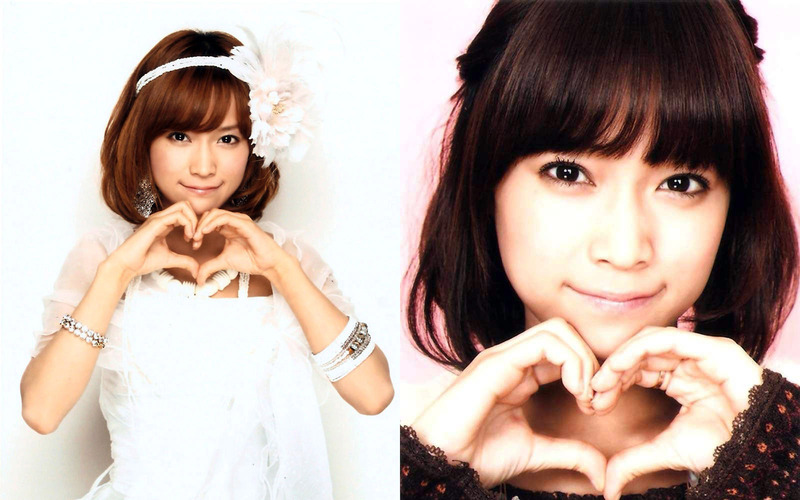 the hole in my heart can only be filled by kamei eri! Yokoyama-chan is giving me pretty good eri-vibes with her wittyness, sense of humour and smile. I like her a lot already, but again mostly due to the fact that she reminds me even a little bit of eri. I’m lost forever, aren’t i..